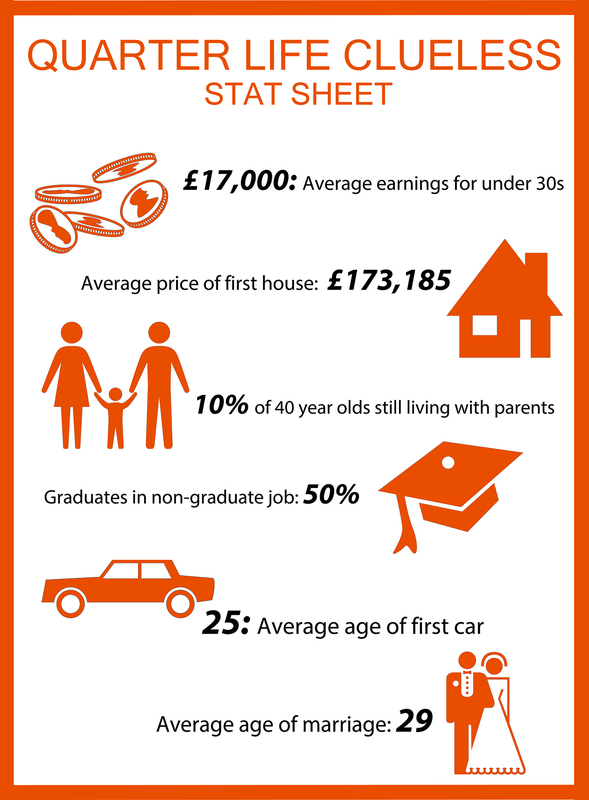 Quarter-Life Crisis Stat Sheet – Clueless? Us generous folks at Quarter Life Clueless have distilled some of the biggest concerns of quarter life crisis sufferers into this handy stat sheet to give you some perspective on, and hopefully some reassurance about, your clueless situation. Has this been helpful? Let us know in the comments or tweet us @QLClueless and visit our tumblr. This entry was posted in QLC News and tagged cars, houses, infographic, marriage, qlc, quarter life clueless, Quarter life crisis, salary, statistics. Bookmark the permalink.